Like everyone says, where did the summer go? We just got back from an extended Labor Day weekend in northern Wisconsin for a friend’s wedding. Now that I’m settling back into routine, I realize, yes, the summer is officially over and I am long overdue for extending some kudos. Summer’s highlight for our family was also a wedding. It was earlier in June and was such a happy day, thanks to so many people. I always appreciate when clients let me know they like my writing or design work. I love it even more when they tell others. So naturally, I want to pay it forward for these awesome businesses who made our family’s wedding weekend so much fun. Overdue as it may be, here is my list of kudos, with great gratitude! If you’re going to have a summer gathering and want friendly Midwestern charm, Madison is the place to be. The Hampton Inn, just off the Capitol Square, offered us a wonderful place to stay and hang with family—and there were lots of us! 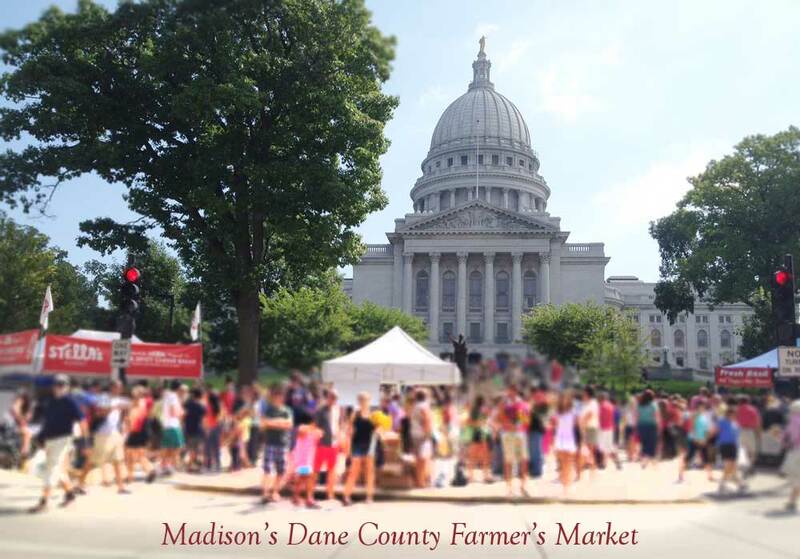 The Dane County Farmers’ Market was fun, the city’s food scene was delish, and because it was the Summer Solstice weekend, there were street musicians everywhere. Saturday morning a bunch of us piled into Studio Quest Salon looking like we just rolled out of bed (which was true) and after some serious pampering, we left looking like movie stars. 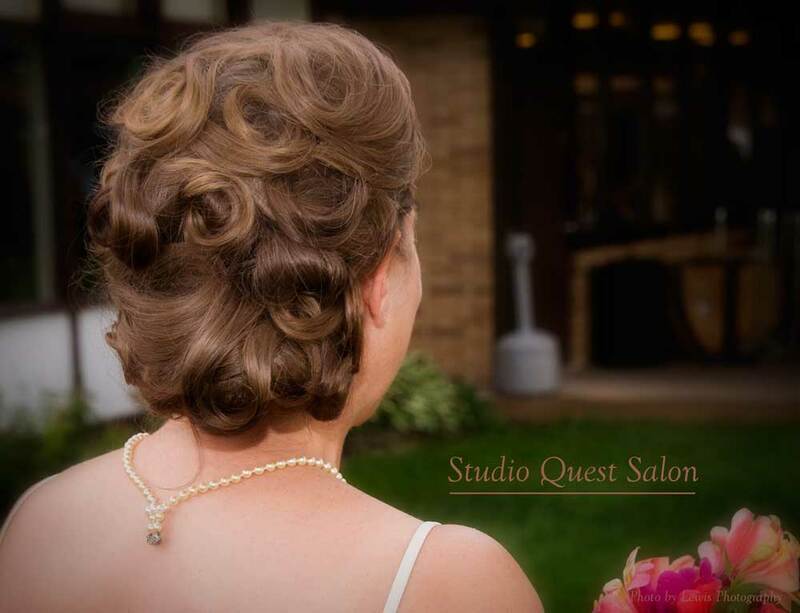 Thanks Charlene and staff, you transformed us from bedhead to beautiful! 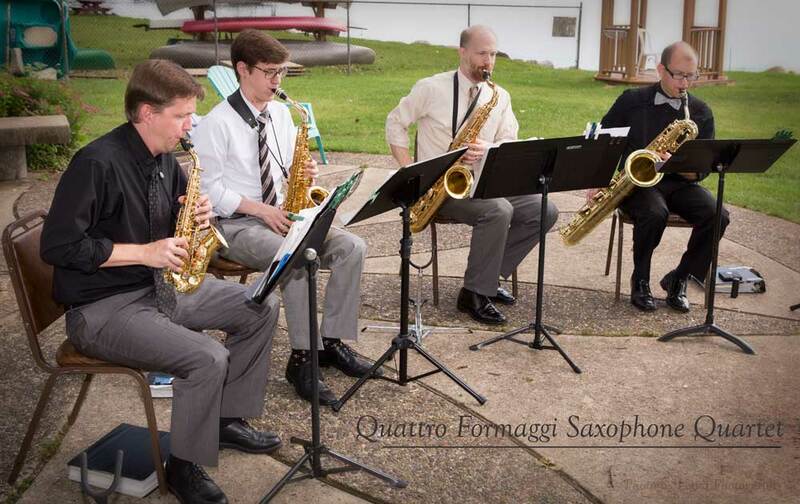 The Quattro Formaggi Saxophone Quartet (QFSQ) is a professional chamber group performing a delightfully eclectic mix of classical, jazz, Latin, and funk. Think Coltrane to Pachelbel, each as smooth as the next. Their Canon in D processional was as beautiful as the bride herself, and she was very beautiful! Food. 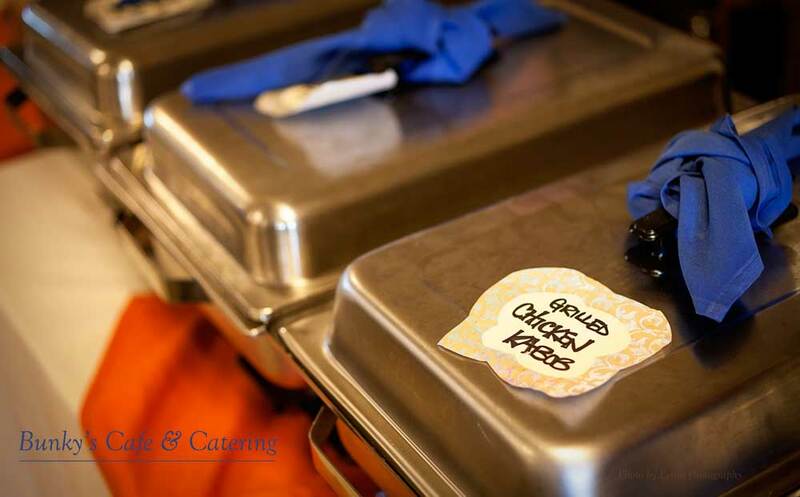 I cannot find enough culinary words to compliment the catered dinner Bunky’s Cafe served our party. Yes, their restaurant is delicious, but Teresa went over and above with her Italian and Mediterranean comfort food served on their Funky Bunky vintage china. Simply exquisite. Guests raved and lined up for seconds. Wedding pie instead of cake. How wonderfully intimate and from the heart! 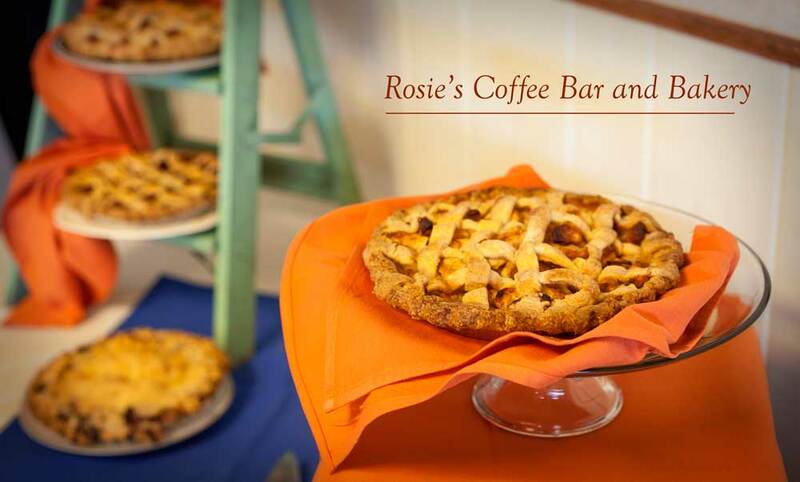 Rosie’s Coffee Bar and Bakery made the best. There was cherry. There was apple. There was strawberry-rhubarb and so many more. Everyone loved their homemade deliciousness! 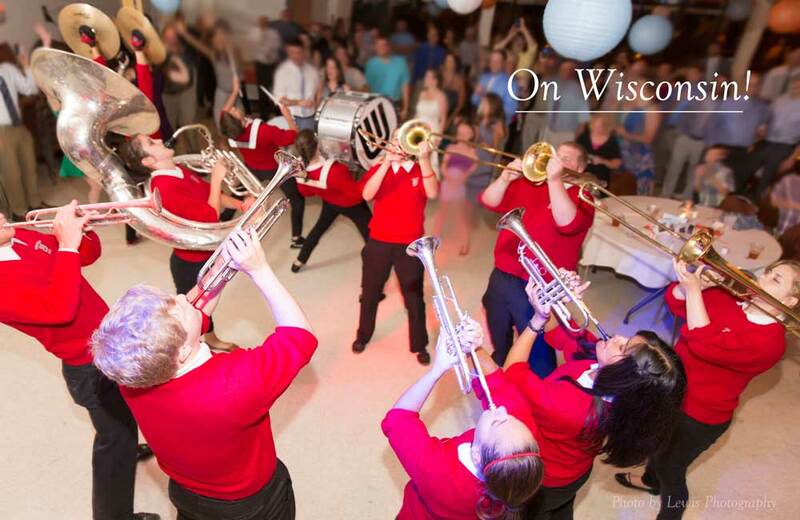 When the bride and groom are alumni of the University of Wisconsin-Madison, who better to crash the party than Bucky Badger and select members of the UW-Marching Band. Imagine the ecstatic roar when Bucky ambled onto the dance floor, followed by the rumble of drums! Thanks everyone! You made our summer great!